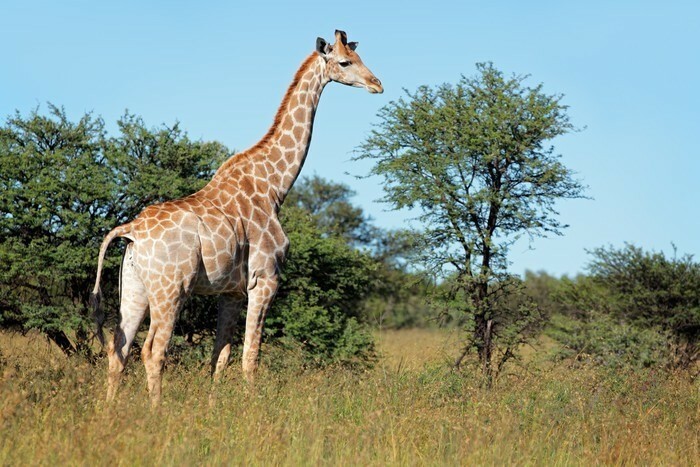 This is 5-days safari will take you to the Tarangire National Park. 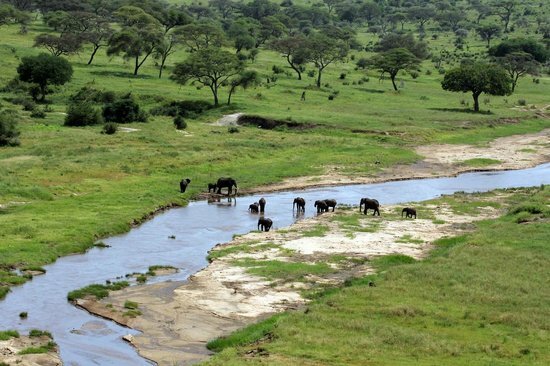 Tarangire National Park is well known for its huge elephant population and its migratory cycle that includes thousands of elephants, wildebeest, and zebras. Ngorongoro Crater is one the places you will visit, Ngorongoro Crater which is known also as the Garden of Eden, and it is one of the best places to spot the ‘Big Five’ and the rare black rhino. Tanzania’s Ngorongoro Crater is the largest unbroken caldera in the world. You will also visit the Serengeti National Park. Serengeti National Park is undoubtedly the best-known wildlife sanctuary in the world, unequalled for its natural beauty and scientific value, it has the greatest concentration of plains game in Africa. 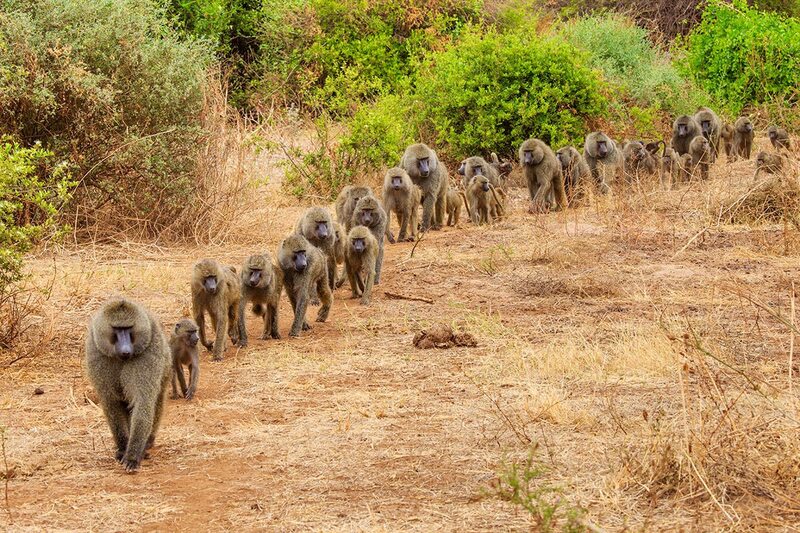 You will visit Tarangire National Park for a whole day, you will spend nights in campsites, and experience a five to six hours trek at the Ngorongoro Crater. You will visit Lake Manyara which is famous for its tree-climbing lions, the Ngorongoro Crater the Serengeti National Park. Tarangire is well known for its huge elephant population and its migratory cycle that includes thousands of elephants, wildebeest, and zebras. It is known as ‘Africa’s Garden of Eden’, Tanzania’s Ngorongoro Crater is the largest unbroken caldera in the world [610 meters (2 000 feet) deep and covers 260 square kilometers (100 square miles)]. It is known as the ‘Garden of Eden’, because of its stunning green grasses, blue water and the diversity of animals in the ‘small’ space of the crater. The ever-changing clouds, colors, and landscapes make this crater magical. Starting from: USD $2,650 (Budget Accommodation) | USD $3150 (Mid-range Accommodation) | USD $3750 (Luxury Accommodation) per person based on two travelers sharing. Single Room Supplement: Most of the hotels have double rooms (A room with one big bed for 2 people or a room with 2 single beds occupied by 2 people) this means the 3rd person will be left without a room to stay and the alternative would be to occupy the single room (a room with one bed ). SRS apply for non-event (3, 5, 7, 9,11…) travelers. Therefore the SRS fee is being paid by the person occupying a room alone. This is a private safari camp located on the edge of the Rift Valley, the hallway between Kilimanjaro and the Serengeti, near the Lake Manyara National Park. Accommodation is offered in African Igloos and Permanent Tents. The African Igloos are unique adobe buildings with thick walls and are environmentally friendly. Each igloo offers twin or double accommodation, with lights and electrical-charging facilities. The permanent tents each contain twin single beds and bedding. New bathrooms have been built with hot showers. 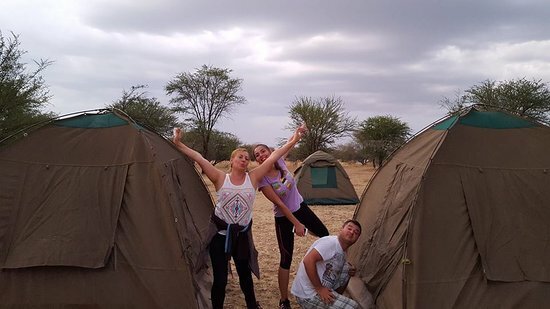 It is the chain of small campsites found at Seronera River Valley, which are Pimbi Campsite, Tumbili Campsite, Nyani Campsite and so on, The Campsites are found in the central of Serengeti and accessible by road and air. It is not far from airstrip where one can land and transferred to the campsite. It is a huge public campsite set on the crater rim and it is situated on the south-western rim of the Ngorongoro Crater Rim about 2 km from the crater village. The campsite has well-maintained toilets and regularly attended and hot water showers (heated by wood fires) and firewood for sale. Wild animals from the crater and Serengeti as far as from other parts of Ngorongoro conservation Area frequently visit the campsite which is not fenced, you should move with caution. On your arrival, Kubwa Five Safaris representative with your name printed on an A4 paper will welcome you to Tanzania at the airport and transfer you to the hotel. Depending on your arrival time, relax in your already-booked hotel after a long flight while you are dreaming of your safari tomorrow morning at 8:30 am. After breakfast, your driver will pick you up at the hotel with a lunch box and drive you to a game drive in the Tarangire National Park. You will have dinner and spend the night at the Panorama Campsite. After breakfast, you will head towards the Serengeti National Park, via the beautiful high-lying farmland of Karatu and the Ngorongoro Conservation Area. Leaving the highlands behind, you will descend into the heart of wild Africa, the Serengeti National Park, with its endless plains, rolling into the distance as far as the eye can see. You will head to the central park area, known as the Seronera area, one of the richest wildlife habitats in the park, featuring the Seronera River, which provides a valuable water source to this area, and therefore attracts wildlife representing of most of the Serengeti’s species. You will arrive in time for lunch and enjoy an afternoon game drive in the Serengeti National Park. You will have dinner and spend the night at the Seronera Camp. You will enjoy a morning game drive at the Serengeti National Park, the biggest national park in the world with natural features and beauty. Then, you will be back for breakfast and relax. After that, you will proceed for a full day game drive with a picnic lunch, dinner, and you will spend the night at Seronera Campsite. After breakfast, you will descend down the crater on a five to six hours game drive. In the crater, you will be able to see The Big Five, buffaloes, giraffes, zebras, and many more species, all set against the stunning backdrop of the Great Rift Wall. After a game drive in the crater, your driver will take you back to Arusha where you will spend the night in a hotel.